In a week’s time, we will all sit in our dining rooms surrounded by our families, a steaming turkey in the center of the table, savory stuffing, fluffy mashed potatoes, and ruby red cranberry sauce scattered around its surface. We will eat together and talk together. We’ll laugh and giggle and probably yell a little too. There are so many important things like these that I am thankful for this year. The big things. My wonderful family, a beautiful home, an excellent report at my most recent visit to the cardiologist. I am grateful for all of these blessings. And on Thanksgiving and every day, I thank God for them. Of course, the big things are important. Of course, these major aspects of our lives determine our happiness. But, for me, the little things matter too. Sometimes, it’s the little things that make the difference in our days. 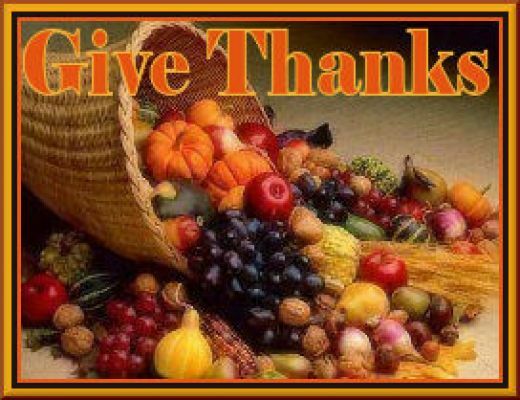 So, this year for Thanksgiving, I’m not only going to thank God for the significant blessings in my life. I’m also going to take the time to thank Him for the little ones as well. DVR – How lucky are we? Remember the days when if you missed the spring dance on 90210, you simply couldn’t see Kelly and Brenda fight over the same dress? Or when you couldn’t be home for the series finale of Full House, so you set up the VCR before leaving only to realize you left it on channel 2 and the tape showed nothing but Poltergeist fuzz when you pressed Play? Oh, the horror! Thank you, DVR. Thank you for allowing me to watch over fifteen shows regularly without ever missing an episode. Thank you for letting me press record if I need to go out but catch only the start of a segment on Dr. Oz that interests me or if I just need to know if the cursing, yelling man is really the father on the latest debacle that is The Maury Show. Etsy – How did anyone plan a party before Etsy came along? Or decorate a house? Or celebrate the holiday season? I literally have instant access to a smorgasbord of artists all over the country. And not only do I get to reap the fruits of their talents, but I can personalize their work to my own specific needs. If I don’t like the color of that shirt or the font of that invitation, I just message the seller and a week later, I have my customized “Worth the Wait” onesie for Rosie’s arrival in New York, the yellow pitcher-shaped invitations for her lemonade-themed birthday party, a handmade diaper bag in a fabric the seller ordered just for me. It’s amazing. When I Can Unexpectedly Pull Forward Out of a Parking Spot – Gosh, that is just the best. I park in a crowded lot but by the time I exit the store, the wonderful stranger who was parked in front of my car has already left. And, now, I don’t have to back out of my spot straining my neck in the process. Instead, I just put that baby in drive, and smoothly sail forward. I. Love. These. Moments. 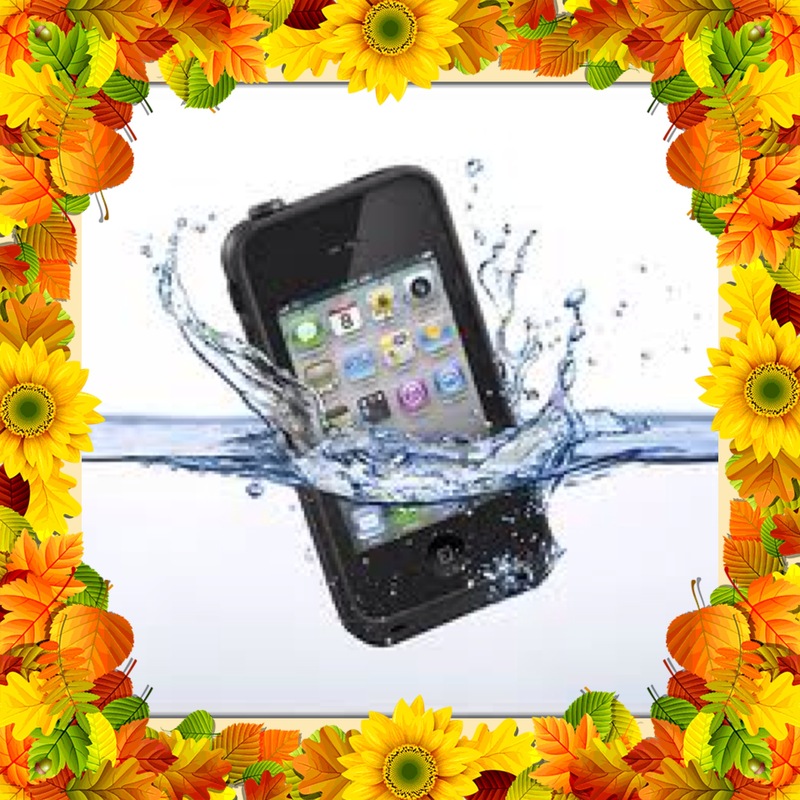 My LifeProof Case – I can do anything to my phone! Those that know me well know “anything” has many meanings. After all, I am the person who dropped a drinking glass directly onto the front of my phone cracking the entire screen. I am also the woman who slid her phone into her cup holder while driving only to later look down and see the phone bobbing in a cup of seltzer she had forgotten about. With the LifeProof case, I can do these things and more and the phone will be just fine. I can let Rosie play games and view pictures on my phone without worry. And best of all, on the rare occasion that I get to take a shower without Rosemarie in the bathroom pulling back the curtain and throwing squeezey toys into the tub, I can bring my phone right in the shower, lean it on Anthony’s 2-in-1 shampoo and conditioner and watch Netflix while I exfoliate. Just fantastic. Microsoft Excel – I never said I wasn’t a geek. I love to be organized. I love to-do lists and I love charts. I can use Excel to organize just about anything. A list of invitees for a party I’m throwing, my Christmas shopping list, our monthly bills. Not only does Excel help to organize names and addresses or keep track of gifts and spending, but it helps keep my brain neat and tidy as well. And that makes me very happy. 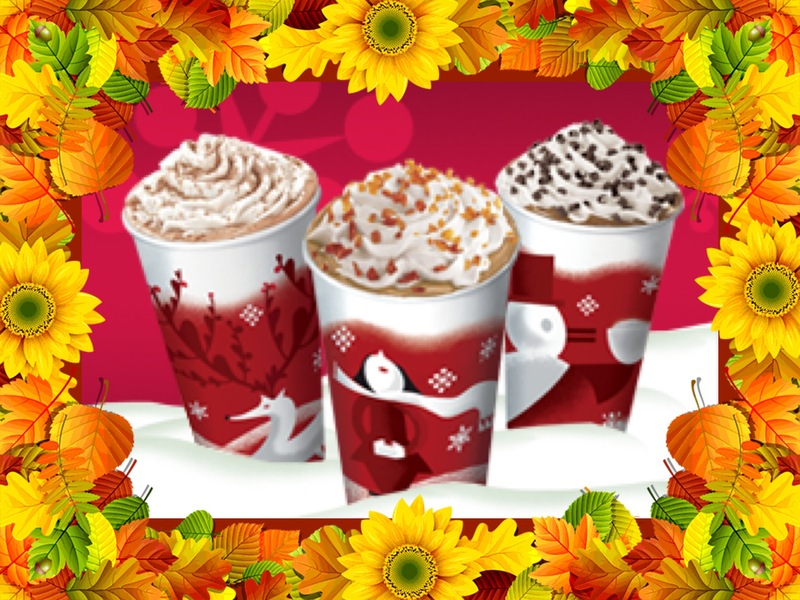 Holiday-flavored Lattes – It doesn’t matter if it’s Starbucks or Dunkin. If it’s gingerbread or peppermint mocha. The moment I take my first sweet sip of the season, I just get that feeling. That cozy, nostalgic feeling that makes me think of Christmas Eves I spent with a knot of excitement in my stomach as I tried to fall asleep. Of the tattered cover of the paperback Twas the Night Before Christmas we read growing up. Of the Christmas night I lay under our tree staring up at the white lights, my brand new American Girl in my arms wearing her white nightgown with pink ribbon trim. And they’re delicious too of course. A Great Bargain on Just What I’m Looking For – It doesn’t matter how much money you have. A great bargain just feels good. And it doesn’t matter to me if I save 50 cents or $20. But when the exact item I am looking for is on sale like the organic macaroni and cheese at Stop and Shop last week or when I find a coupon for 20% off plus free shipping for the website I just happen to be using, it just feels as though things are working out for me. It makes me smile to know the universe is on my side even if it’s just for a minute and just for a few bucks. Remote Start in My Car – When it’s freezing out and I not only have a diaper bag to lug but also three bags of returns as well as Rosemarie, my little turtle, walking beside me on our way to the car, I am practically shivering by the time I put her in her seat and then climb into mine. So when the car is warm and toasty including the seat I slide into, it is just a joy. And the reverse is true in the summer. As I drag myself to the car, the sun beating on my back after two hours in the park, the cool air that soothes my skin the moment I enter the car is pure elation. Thank you, inventor of the remote starter. Unfortunately, I couldn’t find a clear answer on your identity. I’m sorry about that. You should be a household name because of your genius work. A King-sized Bed – Anthony and I are always hot. Our ceiling fan is on full speed twelve months of the year and our thermostat pretty much stays at 68º or under unless we have company. We CANNOT sleep in close quarters. We love each other but we need our own space. A lot of it. And a king-sized bed offers just that. I can stretch out my arms or bend my knees and still be inches away from him. I kid you not, when he worked nights, I once woke up in the wee hours of the morning and called his cell phone to find out why he still wasn’t home. I soon heard his phone ring on the other side of the room. He was home. In the bed. Next to me. There is so much room that I had no idea he was there. The Goldbergs – ABC’s new show on Tuesday nights? Just watch it. You’ll be grateful too. No, these aren’t the most important things in the world. I could live without any one of them or even all of them really. But I am so glad I don’t have to do so. The truth is that the little things do matter. Because sometimes the big things don’t work out. Sometimes the big things become really hard. We lose jobs. We lose money and sometimes homes. We lose our health. We lose people we love. And the only way to make it through the times when the important things are just falling apart is to find joy in the not-so-important things. To let a BOGO sale, a delicious drink, or a good hair day make you smile. Sometimes, the little things are what keep us from falling apart too. So, this year I thank God for all the small but happy parts of my life. All the frivolous, little things that keep me smiling. Always a good read! #6 is one of my favs and I will have to check out #10! Happy Thanksgiving to you, Anthony, & Rosie! Beautiful, wonderful, and yes-yes-yes to so many of those things. 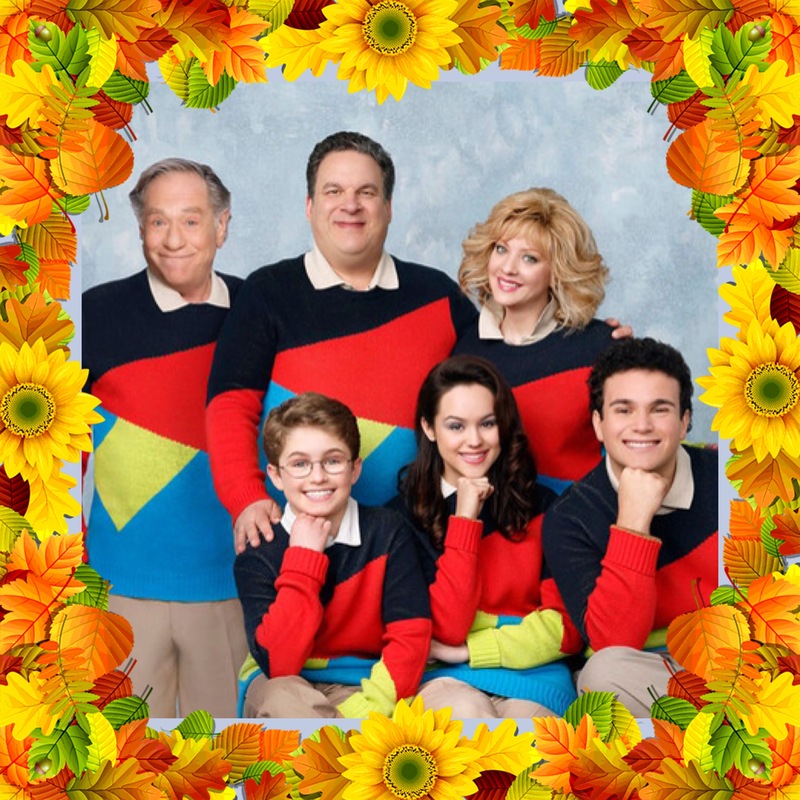 We love The Goldbergs! It is our family show; we DVR it and watch it together on Wednesday or Thursday nights. I think that’s a thankful two-fer! I love the idea of everyone at the table saying what they are most thankful for. I hope to try it this Thanksgiving. Thank You Kim, Love you & Happy Thanksgiving to you and your beautiful family. Love your list Kim! They are all so true…I wish you and your family a very Happy Thanksgiving!